“I don’t really like football...” In retrospect this probably wasn’t the most intelligent thing to say to Chris Chapman, programmer of what many consider the greatest football game ever made. I am of course the exception to almost every man that lives in the United Kingdom. Soccer has permeated and sculpted our culture more than any other recreational activity. In any day you’ll struggle to avoid overhearing a conversation about a match or seeing a headline involving a footballer. It’s almost terrifying how our country is at the mercy of the “beautiful game” with matches being put on at weddings and weekend family outings being cut short to get to or watch a game. This countrywide adulation of a sport reaches fever pitch during The World Cup, when power outages even occur when the whole of Britain universally puts the kettle on to make a cup of half time tea. It’s always been this way though and in the Nineties, if you played video games and were addicted to the sport you played ‘Sensible Soccer’. It’s similar to how I imagine everyone in a modern playground discussing the latest ‘Pro Evo’ or ‘Fifa’. 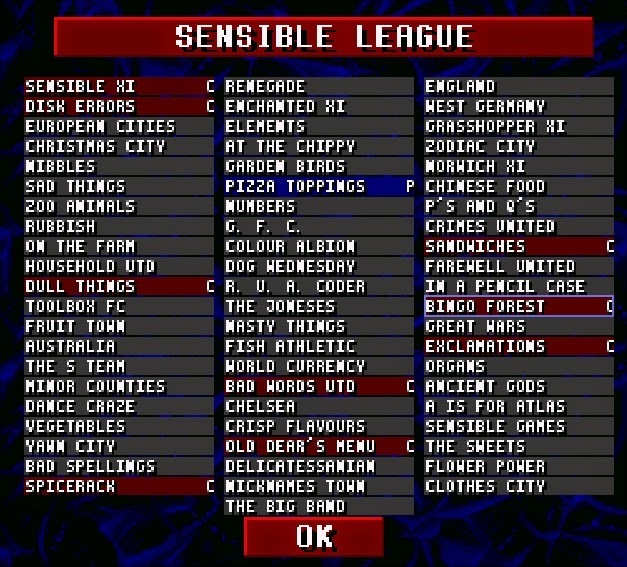 ‘Sensible Soccer’ was universally adored by journalists, topped best seller lists and propelled Jon Hare and Sensible Software into almost celebrity status among a certain group of geeks. But it was a football game born from boredom rather than a desire for critical acclaim or unimaginable wealth. 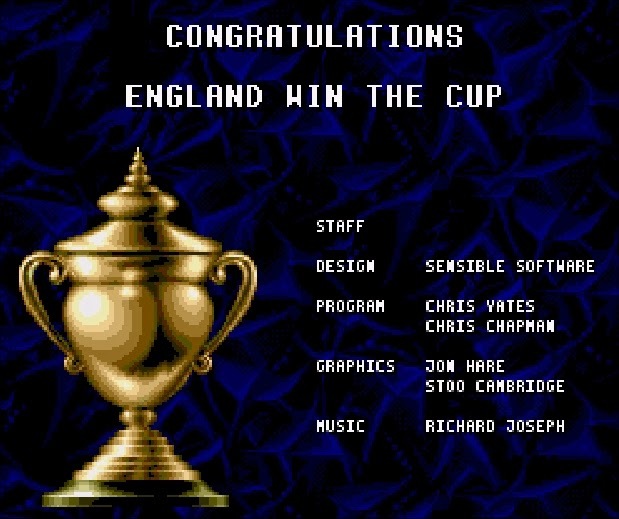 Like everyone in Britain (except me), the team at Sensible Software adored football. So in September 1991, when development of ‘Mega Lo Mania’ was at its most stressful it was to a game called ‘Kick Off 2’ that the team frequently turned to for light relief. Intensive play of any game though quickly exposes its weaknesses and faults. “We played it so much it made us angry and we ended up throwing [the] disc out of the window... onto a train track where it got run over” Jon Hare once said, “we’d be moaning about what didn’t work and all the bugs and how we would do it differently”. More for his own amusement than anything else, he took the sprites from his complex god-sim game and put them in the distinct canary colours of Norwich City football club. Amused by this Chris Chapman chipped in, and once he had written code for some simple controls and ball logic routines a prototype ‘Sensible’ football game was born. ‘Mega LoMania’ of course, had a distinct look - tiny men of no more than twelve pixels in height fighting. When these characters were moved onto a football pitch of proportional size and scale, Sensible had accidentally stumbled across the one thing that made their quickly-made football game unlike any other on the market. “By luck the perspective worked” admits Jon Hare in retrospect “it came from ‘Mega Lo Mania’ and it stayed that way because it felt right”. A happy accident, that made previous football games with their limited side-on or zoomed in overhead viewpoints suddenly feel very claustrophobic. “To make a pass, you need to be able to see where you’re going to pass to” acknowledges Jon Hare, highlighting the intrinsic problem that had plagued so many other soccer games. Success in ‘Sensible Soccer’ really depended on a player mastering passing the ball between players, rather than a player taking a footballer from one end of the pitch to the other while trying their best to dodge the opposition. There was an important distinction therefore that separated ‘Sensible Soccer’ from other similar games: You didn’t want the ball to be continually at one player’s feet, you wanted it to be continually moving through the air from player to player. The ball is the star of ’Sensible Soccer’ where as in game like ‘Fifa International Soccer’ the players are. With the main engine in place relatively quickly what followed is what really made the game so successful; months of fine tuning. Despite the deceptively simple appearance there are complex systems at work, discussed at length in ROM andGary Penn’s Sensible Software Auto-biography. Chris Chapman was the programming genius who masterminded all the invisible mechanics that makes the game work intuitively, but more importantly makes the game work at speed partly because of the 3 frame player animations. Wind cones influencing ball direction, player boundaries and territory grids all combine to make a game that is far more intelligent than people would expect from a sports game. With the resulting realistic ball movement and almost the entire pitch visible to the player, suddenly the tactical nature of soccer became the focus of play. 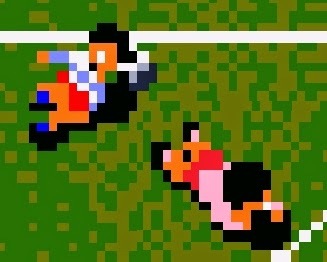 It was this rather than the subject matter that kept non football fans like me playing ‘Sensible Soccer’. 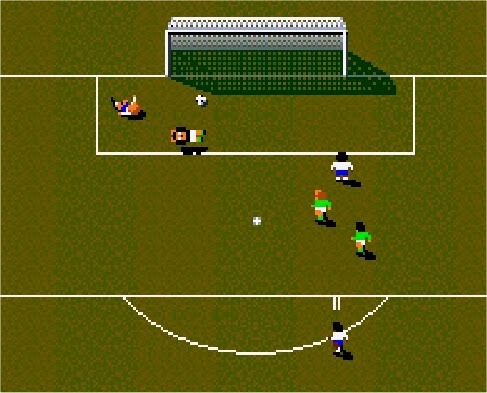 I remember saying to Chris Chapman, that I once played a version of ‘Sensible Soccer’ that came on an Amiga Power Cover disc called ‘Un-Sensible Soccer’. 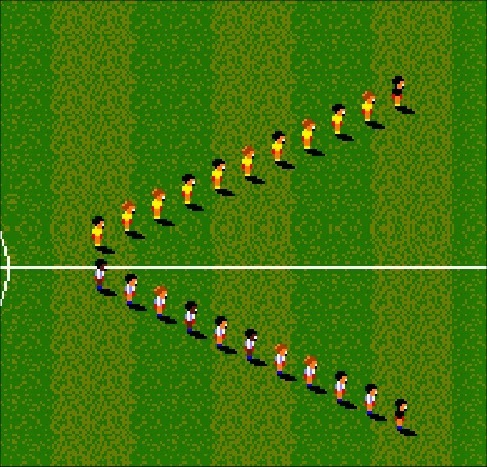 In this variation on the game,the iconic player sprites were replaced with humanoid oranges and apples, while the football became a pineapple. Clearly it was made for a joke, but with exactly the same engine as the released game I enjoyed it just as much. It proves that in ’Sensible Soccer’ the process of moving a sphere to a target while things try to stop you is what is fun. It doesn’t need to be a football; the game itself is fun regardless of the appearance. Evidently, the less the game resembles football the more I enjoy it. This is perhaps why when I said to Chris Chapman “I don’t really like football” he smiled, primarily because it was immediately followed with “...but I love ‘Sensible Soccer’”. His smile faded through when he saw the box I was thrusting towards him to autograph; a pristine Super Nintendo version. “You know I didn’t actually write that” he said blushing. I nodded, and said “in the game it says you did”. 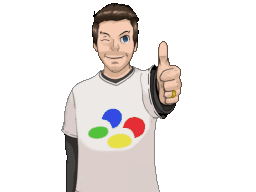 For Jon Hare the other big change was the difficulty, with a conscious effort to “make the game both easier for beginners and harder for experts”. To do this a “beginner’s mode” was introduced that made the ball stick to your feet and a much more aggressive AI opponent played against you in the expert mode. Purists will never accept it, but the Super Nintendo’s input device is also much better suited to ‘Sensible Soccer’ and makes it far more approachable for people new to the game, or sports games in general. In place of an Amiga joystick’s one action button is four face buttons, which allows you to be much more specific about what you want the footballer to do. No longer can you get angry that the ball is “hoofed down the pitch” (whatever that means!) rather than passed to a nearby player, because different buttons dictate different kicks. 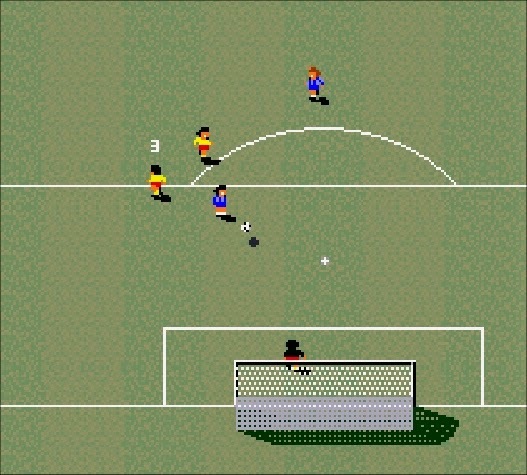 Other than these significant changes and an over haul of the front end, the Super Nintendo version of ‘Sensible Soccer’ really is very similar to the Amiga version and of course was met with an equal amount of critical praise. Super Play for example said ‘Sensible Soccer’ was “the greatest, a dream come true for all Super Nintendo owning footy fans. The best football game on the Snes and likely to remain so for some time to come”. Interesting they too acknowledged that the game was perhaps great because it didn’t always feel like a tradition football game. 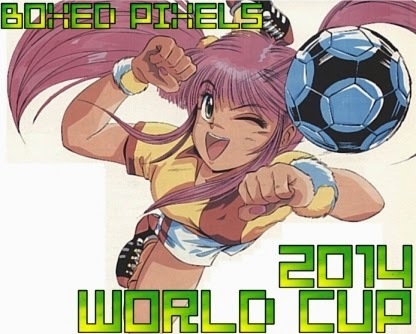 In a countdown of the hundred greatest Super Nintendo games, ‘Sensible Soccer’ placed 66th. In this feature the magazine said “it feels more like a game of pinball than football to the uninitiated” something I would agree with. Despite my ambivalence to football, it was a game I did play in my youth, usually with my brother in two player mode when the game really does excel. If I’m honest though I probably only tried it if it because it was made by Sensible Software, a company I was quite the fan of at the time and would be now if they continued to make games. 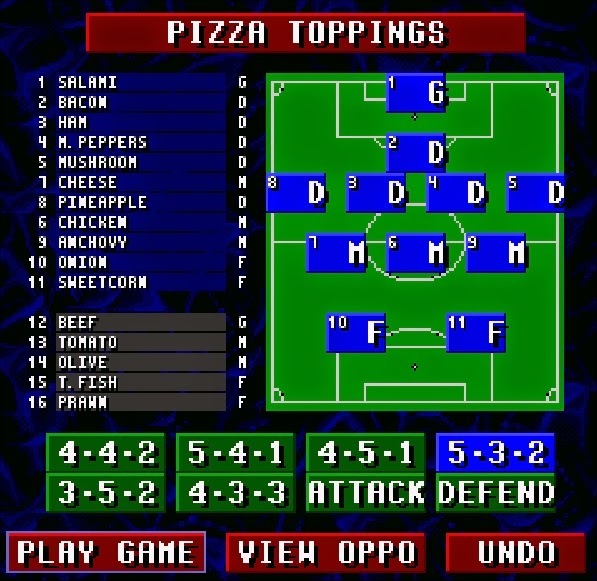 I’m pleased that the lure of the name did make me pick up a copy though, as playing through a league with a team named after pizza toppings was then and is now a great way to pass a few hours. 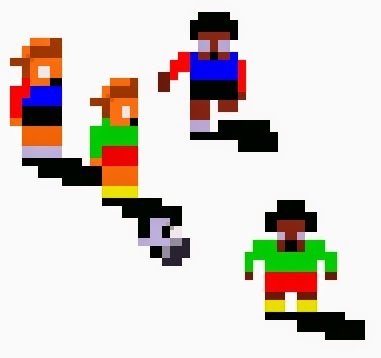 I may not have a clue if my tiny pixel men are volleying, dummying or even nutmegging, but I do know that when take the ball from a goal kick up the left hand side, pass it across the goal mouth to then have another player slide in and score I feel a sense of exhilaration and accomplishment. It is why even though I don’t really like football, I love ‘Sensible Soccer’. 20 year ago, a game called ‘Cannon Fodder’ was my favourite game. I would play it endlessly on the Amiga mainly because I loved the art style and humour. It was of course made by Sensible Software, and because I loved their war strategy game, I sought out an illegally copied copy of their most famous game – even though it was a football game. Much to my surprise I liked it nearly as much as ‘Cannon Fodder’ so it also became a game I would regularly play, especially when people I knew who liked football came around. When I started collecting Snes games, favourite titles from my youth were the ones I thought of getting first. Consequently I (for the first time) bought ‘Sensible Soccer’ shortly after getting a Snes. Being new to collecting though, I accidentally bought the rare ‘limited edition’ version, a variant that was released to coincide with the 1994 World Cup. It is essentially the same as the regular release, only with national teams rather than club teams and a purple rather than blue box. Indeed, I didn’t even realise it wasn’t the usual release until I got a second copy of the game in a bundle and it had a different cover. This regular release was the one the Chris Chapman and Jon Hare so reluctantly signed and consequently it has become one of the most treasured games in my collection.